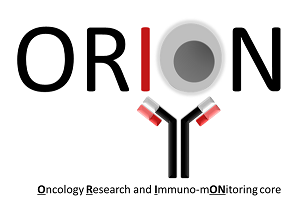 Please include the following acknowledgement in research publications supported by the core: "Supported by the NIH/NCI under award number P30 CA016672 and used the ORION core". The purpose of our core is to provide state-of-the-art immunoprofiling services to MDACC investigators as well as local investigators. Our services range from single service instrument use to entire project design and analysis. Researchers and Investigators will need to provide the samples for analysis. Samples can be stored short-term prior to assessment. This site works best on Firefox, Chrome, and Safari.